The autopilot button on my airplane is small, and easy to miss. I’m rather certain that’s intentional, because it’s not a button you want to press accidentally. If you do push it accidentally, it will immediately turn you in the direction you last set it, which may be toward Bermuda or Kazakhstan, when you were really intending on landing in New Jersey. There are a whole lot of buttons, knobs, switches and even a little joystick that controls the rather sophisticated set of electronic instruments on my little airplane, instruments that these days are referred to by the lovely portmanteau “avionics”. It is so complex that future versions were designed with the goal of simplification in mind, replacing touch screen inputs for buttons and bows. When it comes to “buttonology,” the heading bug may well be one of the most important buttons on the panel. You can push it or turn it. If you push it, a little indicator aligns with the heading you are currently flying. If you turn it, the “bug” will move to the heading you select. It is quite a useful little knob. If a controller tells you to turn to a certain heading, or if you choose to do so on your own, the first thing to do is to set the bug to your intended heading, and then turn the airplane, either manually or by use of the autopilot, to the bug. If you are flying straight ahead, and remember to push the knob to align the bug with your present heading, it can remind you when you are drifting off course. I am not sure what the origin of the word “bug” is when it comes to flying. It could simply refer to the idea that it is a reminder—something that “bugs” you to do what you intend to do. It’s a pretty versatile word, being used in espionage, entomology, little German cars, medicine, software, and even cute rabbit cartoons. The idea of something annoying seems to run through most of the definitions, except if you’re a fan of air-cooled, rear-mounted engines, in which case reminders of those little German death traps might be nostalgic. Pilots who have been flying for a while will remember their instructors continually bugging them to “center the heading bug.” Really, the very simple idea is that it is always a good idea to know where you are going, so that if you wander from your intended goal, you can realize that fact by comparing your current heading with the one you might have forgotten you were trying to follow. One could easily infer that the idea of a heading bug is that it is important to have some sort of goal along with a reminder of that goal. Forget that goal and you are lost, roving through the sky with no particular place to go. Long-time readers of this blog will know that I am not a big fan of goals, as they tend to restrict our options and pull us away from the vitality of the moment, although I do use them in my life more like a heading bug. Yet, one really doesn’t need a heading bug in order to get somewhere. All you need is the heading indicator itself, so that you know where you are going. Without a bug, all a pilot needs to do is remember the heading she should be flying, and go there. The problem is that pilots, similar to other superhumans, have a lot of things to remember at once, so little mnemonic devices can be really helpful. 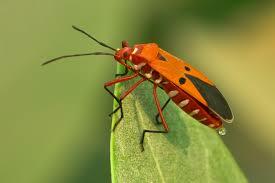 In fact, there are a lot of bugs on modern airplanes—various airspeed and altitude bugs being the most common. They help us keep track of our intentions, and are especially important when doing a lot of things at once. That, I believe, is the point of those pointy little things. They represent not the goals themselves, but the gentle reminders of where we want to go. Yes, I should really write that thank you note, and I really want to, and I know I’ll get around to it, unless, that is, I forget. In that case, a little reminder—perhaps in the way of a judiciously placed post-it note, can go a long way. It usually surprises sales people, bill collectors, and other generally annoying people when I tell them that, in fact, not only do I not mind being bugged to do something, I actually enjoy and appreciate it. People who bug me to do things increase the likelihood that the thing will get done, and that will make both them and me happier citizens. I know that if I have no intention of paying a bill or doing the dishes, I can simply insist that I stop being bugged about it, and with the exception of the Internal Revenue Service or the collections department at Cedars-Sinai, that usually does the trick. And you see, most of us busy folks spend much of our time on our autopilots anyway, and as any pilot will tell you, autopilots—at their core, do one thing alone; they follow the bugs we set for them. Without them, you might end up landing in the Atlantic Ocean, somewhere along the way to Kazakhstan, while someone in New Jersey might be waiting for you with some delicious marinara sauce simmering on the stove. This entry was posted in Aviation, confidence by iraheilveil. Bookmark the permalink.